Bridging Infinity puts humanity at the heart of these vast undertakings - as builder, as engineer, as adventurer - reimagining and rebuilding the world, the solar system, and even the entire universe. 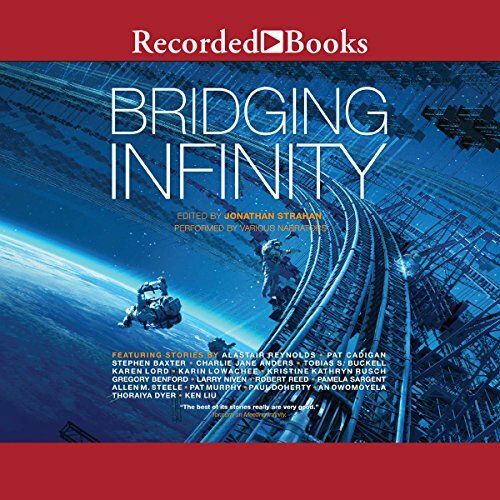 This continuation of the award-winning Infinity Project anthology series features bold new stories from Stephen Baxter, Elizabeth Bear, Gregory Benford, Zachary Brown, Pat Cadigan, Kameron Hurley, Scott Lynch, Vonda N. McIntyre, Hannu Rajaniemi, Allan Steele, and many more. Author bio: Jonathan Strahan is an award-winning editor, anthologist, and podcaster. Since 1997 he has edited more than 40 anthologies including nine exceptional collections for Solaris that include the Infinity Project, the celebrated fantasy Fearsome series, and the Best of Science Fiction and Fantasy series. He is the recipient of the World Fantasy Award, a three-time winner of the Locus Award, a four-time winner of the Aurealis Award, and an eight-time Hugo Award nominee. He is the reviews editor of Locus, and the co-host of The Coode Street Podcast. He lives in Perth, Western Australia with his wife and their two daughters.